The media, this administration, and many serving in the Senate and House of Representatives are too scared of offending someone that they have refused to refer to Islamic terror as being a problem for the United States. This age of political correctness is doing nothing more than prepping the U.S. for another massive attack in the scale of the World Trade Center/Pentagon attacks in 2001. This is not to say that every Muslim is a terrorist, but make no mistake, most terrorism comes from those practicing a form of Islam. I spent eight years of my life as a US Marine either training to fight, or fighting Jihadis. Their numbers are growing, their attacks are more bold, and they are planning to hit our nation again and again. It is time to wake up and realize that there is an enemy out there, and it is time to wake up to the fact that this government has been complicit in their spread across the world. Let a candid world know what these evil men are responsible for, and then try to tell me whether or not Islamic Jihad (Holy War) is a problem or not. And then tell me if you are going to continue to walk on egg shells and be PC towards these disgusting excuses for human beings. And this list will only be from 2000 to present. Please notice how long the list is and the deaths Jihad is responsible for. USS Cole bombing at a Yemen port, October 12, 2000. 17 American sailors were killed, 39 injured. 11 September 2001 – 4 planes hijacked by 19 al-Qaeda hijackers: two planes crashed into World Trade Center and one into the The Pentagon. 2,973 dead. March 27, 2002 – Suicide bomb attack on a Passover Seder in a Hotel in Netanya, Israel. 30 dead, 133 injured. 30 March 2002 and 24 November 2002 – Attacks on the Hindu Raghunath temple, India. Total 25 dead. May 7, 2002 – Bombing in al-Arbaa, Algeria. 49 dead, 117 injured. June 19, 2002 – 2002 French Hill suicide bombing, Jerusalem by the Al-Aqsa Martyrs’ Brigades. 7 dead, 35 injured. September 24, 2002 – Machine Gun attack on Hindu temple in Ahmedabad, India. 31 dead, 86 injured. 23 October 2002 – Moscow theater hostage crisis; Some 40 to 50 Islamist militant separatist seized a crowded Moscow theater taking 850 hostages. 170 killed, 700 injured. May 16, 2003 – Casablanca Attacks – 4 simultaneous attacks in Casablanca killing 33 civilians (mostly Moroccans) carried by Salafia Jihadia. 11 March 2004 – Madrid train bombings. 191 killed, 1460 injured (alleged link to Al-Qaeda). 21 July 2005 London bombings – Four attempted bomb attacks disrupted part of London’s public transport system two weeks after the 7 July 2005 London bombings. The explosions occurred around midday at Shepherd’s Bush, Warren Street and Oval stations on London Underground, and on a bus in Shoreditch. A fifth bomber dumped his device without attempting to set it off. 7 March 2006 – 2006 Varanasi bombings, India. A series of attacks in the Sankath Mochan Hanuman temple and Cantonment Railway Station in the Hindu holy city of Varanasi. 28 killed and over 100 injured. 11 July 2006 – 2006 Mumbai train bombings, Mumbai, India; a series of seven bomb blasts that took place over a period of 11 minutes on the Suburban Railway in Mumbai. 209 killed and over 700 injured. 30 June 2007 – 2007 Glasgow International Airport attack,Glasgow, Scotland; A car loaded with propane canisters was driven into the glass doors of the Glasgow International Airport terminal and set ablaze. 1 killed and 5 injured. 14 August 2007 – Qahtaniya bombings: Four suicide vehicle bombers massacred nearly 800 members of northern Iraq’s Yazidi sect in the deadliest Iraq war’s attack to date. 23 December 2007 – The Tehreek-e-Nafaz-e-Shariate-Mohammadi(TNSM) claimed responsibility for a suicide bombing targeting a military convoy on behalf of the Tehrik-i-Taliban Pakistan. The blast in the Mingora area of the Swat Valley killed five soldiers and six civilians. 5 February 2008 – February 2008 Bosaso bombings by Al-Shabaab. 25 dead, 80 injured. 2 July 2008 – In the Jerusalem bulldozer attack, an Arab resident of east Jerusalem identified as Hussam Taysir Duwait (also referred to as Hussam Duwiyat, Hossam Dawyyat, or erroneously as Jabr Duwait), attacked several cars on Jaffa Road in Jerusalem, Israel using a front-end loader (erroneously referred to as a bulldozer in the media), killing three people and wounding at least thirty other pedestrians, before being shot to death. Israeli government spokesman Mark Regev said that an inquiry indicated the attacker had been acting alone. 3 dead, 30+ injured. Three copycat attacks have occurred since then. 3 August 2008 – The 2008 Mogadishu bombings in Somalia. 21+ dead, 46+ injured. 21 August 2008 – Tehrik-i-Taliban Pakistan spokesman Maulvi Umar claimed that the group was responsible for 21 August 2008 suicide bomb attack on a military complex. 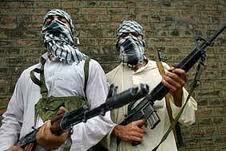 23 August 2008 – Tehrik-i-Taliban Pakistan claimed responsibility for the 2008 Swat Valley bombing. 29 October 2008 – 2008 Hargeisa–Bosaso bombings by Al-Shabaab. 30 dead, 80 injured. 6 November 2008 – Someone using the name Abdur Rehman claimed that the Tehrik-i-Taliban Pakistan was behind a 6 November 2008 suicide bombing that targeted tribal elders, who had gathered in the Bajaur tribal area to discuss efforts to coordinate with the government against the Pakistani Taliban. The blast took the lives of 16 and injured 31. 26 November 2008 – Muslim extremists kill at least 174 people and wound numerous others in a series of coordinated attacks on India’s largest city and financial capital, Mumbai. The government of India blamed Pakistan based militant group Lashkar-e-Taiba and stated that the terrorists killed/caught were citizens of Pakistan, a claim which the Pakistani government first refused but then accepted when given proof. Ajmal Kasab, one of the terrorists, was caught alive. 30 March 2009 – In telephone interviews with news media Mehsud claimed responsibility for the 30 March 2009 attack on the police training academy in Lahore. He told the BBC that the attack was in retaliation for continued missile strikes from American drones for which the Pakistani government shared responsibility. In the same interview Mehsud claimed two other attacks: a 25 March attack on an Islamabad police station and a 30 March suicide attack on a military convoy near Bannu. 4 April 2009 – Mehsud claimed responsibility for the Binghamton shootings, stating that they were in retaliation for continued missile strikes from American drones. The FBI denied this claim and stated this was nothing to do with Massod. 18 June 2009 – 2009 Beledweyne bombing by Al-Shabaab. 35 dead. 27 August 2009 – Azam Tariq, spokesman of the Tehrik-i-Taliban Pakistan, claimed responsibility for a suicide bombing at a security checkpoint along the Pakistan-Afghan border near Torkham on 27 August 2009. Tariq said by telephone that the attack was the first in retaliation for the death of Baitullah Mehsud. Although the exact number of casualties was unknown, a doctor at a nearby hospital told Dawn News that they had received 22 bodies and local people working at the blast site said they had retrieved 13 bodies. 5 October 2009 – Azam Tariq claimed responsibility for a suicide attack that killed five at the UN’s World Food Programme Islamabad offices on 5 October 2009. 12 October 2009 – The Tehrik-i-Taliban Pakistan, through Azam Tariq, claimed responsibility for the October 2009 attack on the army’s headquarters at Rawalpindi. Tariq told the Associated Press that the attack was carried out by its “Punjabi faction” although the military insisted the attack originated in South Waziristan. 15 October 2009 – The Tehrik-i-Taliban Pakistan claimed responsibility for three separate coordinated attacks in Lahore. 10 militants targeted buildings used by the Federal Investigation Agency(FIA), the Manawan Police Training School and the Elite Police Academy. 3 December 2009 – The 2009 Hotel Shamo bombing in Mogadishu, Somalia. A male suicide bomber disguised as a woman detonates in a hotel meeting hall. The hotel was hosting a graduation ceremony for local medical students when the blast went off. 25 dead – including four government ministers – and 60 injured. 1 January 2010 – Lakki Marwat, Pakistan. A suicide car bomber drove his explosive-laden vehicle into a volleyball pitch as people gathered to watch a match, killing more than 100 people. 5 January 2012 Iraq bombings, Baghdad and Nasiriyah, Iraq byIslamic State of Iraq. 73 dead, 149 injured. 14 February 2010 – 2010 Pune bombing, Pune, Maharashtra, India. bomb blast ripped through the city’s popular German Bakery, close to the Osho Ashram and diagonally across from the Jewish Chabad House killing 17 people and injuring 65.Maharashtra Anti-Terrorism Squad (ATS) claimed involvement of Pakistan based Lashkar-e-Taiba’s (LeT).Police arrested Mirza Himayat Baig Inayat Baig,who allegedly heads Lashkar-e-Taiba’s (LeT) module in the state. ATS has also arrested Bilal Baba Hussain Fareed Shaikh (27).In its chargesheet filed in a Pune court, the ATS has also named six other accused – all co-conspirator and absconding – Mohsin Choudhary, Yasin Bhatkal, Riyaz Bhatkal, Iqbal Bhatkal, Faiyaz Kagzi and Zabihuddin Ansari. 14 January 2012 Basra bombing, Basra, Iraq. 53 dead, 130 injured. 27 January 2012 Baghdad bombing, Baghdad, Iraq by Al-Qaeda in Iraq. 32 dead, 71 injured. 20 March 2012 Iraq attacks, Baghdad and at least 9 other cities,Iraq. 52 dead, ~ 250 injured. 28 May 2010 – Attacks on Ahmadi Mosques Lahore, Pakistan.Tehrik-i-Taliban Pakistan claimed attacks on two mosques simultaneously belonging to the Ahmadiyya Muslim Community, killing nearly 100 and injuring many others. 7 December 2010 – 2010 Varanasi bombing, India. 2 dead, 37 injured. 1 January 2011 – Alexandria, Egypt. A car bomb exploded outside a Coptic Orthodox church after worshippers had gathered for a prayer celebration on New Year’s Eve. 21 dead, 97 injured. 24 January 2011 – Domodedovo International Airport, Moscow, Russia. A suicide bomb attack in the international arrivals hall of Domodedovo International Airport, Moscow killed at least 37 people and injured some 180. Attacks were later attributed to the Caucasus Emirate an Islamist terrorist organisation. 25 January 2011 – Manilla, Philippines. A bomb under a bus seat detonated on a passenger bus commuting in Manilla. 5 dead, 14 injured. The attack has been attributed to the Islamist Terrorist Organization Jemaah Islamiyah. 26 January 2011 – Khasavyurt, Russia. A car bomb explosion detonated by the Caucasus Emirate an Islamist terrorist organisation ripped through a cafe, with the blast killing and injuring both cafe workers and customers within the Russian city of Khasavyurt. 4 dead, 6 injured. 18 April 2011 – Pattani, Thailand. Suspected Muslim insurgents have set off a car bomb that killed one soldier and wounded 25 people in restive southern Thailand. 28 April 2011 – 2011 Marrakech bombing, Marrakesh, Morocco. A suicide bombing struck a cafe in Djemaa el Fna square, killing mostly foreigners and several Moroccan’s, in the center of Morocco’s southern city of Marrakesh, which is located in southern Morocco. 16 dead and at least 20 injured. The attack was attributed to the Moroccan Islamic Combatant Group. 8 June 2011 – Narathiwat, Thailand. Suspected Islamic militants killed two Buddhist monks and left a bomb at the scene that subsequently exploded and wounded five police officers. 2 dead, 5 injured. 18 July 2011 – 2011 Hotan attack, Hotan, China. A group of 18 young Uyghur men who opposed the local government’s campaign against the full-face Islamic veil perpetrated a series of coordinated bomb and knife attacks and occupied a police station on Nuerbage Street, killing two security guards and taking eight hostages. The attackers yelled religious slogans, including ones associated with Jihadism. 30–31 July 2011 – 2011 Kashgar attacks, Kashgar, China. A series of busy markets and restaurants were attacked by the East Turkestan Islamic Movement in the city of Kashgar, by car bombs and stabbing attacks, killing 23 and wounding 42 people in total. 27 January 2012. Baghdad, Iraq. Suicide bomber kills 33 at funeral procession. 28 February 2012 – 2012 Yecheng attack, Yecheng, China. At around 6 p.m. on February 28, 2012, a group of eight Uyghur men led by religious extremist Abudukeremu Mamuti attacked pedestrians with axes and knives on a crowded street. Local police fought with Mamuti’s group, ultimately killing all and capturing Mamuti. One police officer died and four police were injured, while 15 pedestrians died from Mamuti’s assault and 14 more civilians were injured. 20 March 2012 – 2012 Midi-Pyrénées shootings in Toulouse,France Algerian gunman on a motorcycle kills 4 at a Jewish school. 7 dead, 5 injured. 30 April 2012 – Gunmen of Boko Haram kill 15 people and wound many more in Nigeria. 11 September 2012 – On the anniversary of the 2001 September 11th attacks in the United States, Islamist militants killed 4 and wounded 7 in the Benghazi U.S. Consulate attack including American Ambassador Christopher Stevens. 29–30 September 2012 Muslims Attack Buddhist Temples, Homes Over Quran Facebook Photo in Chittagong. The latest reports indicate that about 15 temples and pagodas and about 100 houses of Buddhists living in the area had been set on fire. 21 November 2012 – Tel-Aviv, Israel. Bus explodes on Tel Aviv’s Shaul Hamelech Street; 28 wounded, one seriously, one moderately. 21 February 2013. Hyderabad, Andhra Pradesh. A series of two bomb blasts in a crowded place killed 16 people and 119 were injured. There were two blasts on Thursday at 6.58 p.m. and 7.01 p.m. The bicycle had a bag hung to its carrier, which the police believe had an Improvised Explosive Device (IED). 15 April 2013. Boston Marathon bombings. Two brothers, Tamerlan and Dzhokhar Tsarnev, planted two bombs near the finish line of the Boston Marathon. The blast killed 3 and injured 183 others. Tell me again why I should not let the world know? Hell, from this list it looks like the whole world does know. So why won’t our government or media come clean and admit we have a problem?